Unleash your inner Ninja in this fast-paced, fruit-filled action game. Swipe your Windows Phone 7 touchscreen to slice and dice over a dozen unique fruits, including Watermelons, Coconuts, Kiwis and Oranges... but watch out for Bombs! 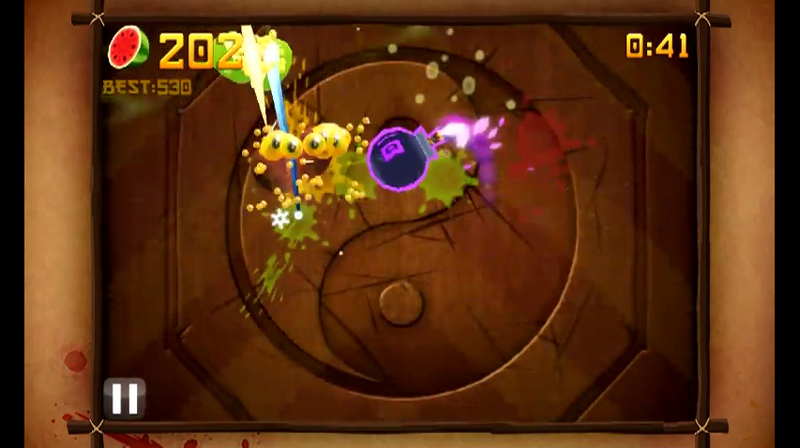 Improve your slashing skill and use your dexterity and speed to earn bonuses by slicing multiple fruits at once. Compete against friends on Xbox Live Leaderboards in both Classic and Zen Modes!